The Congress of European Azerbaijanis issued a statement addressed to the Azerbaijanis living in the European countries on the occasion of the 20th anniversary of the occupation of Azerbaijani town of Shusha by Armenians. According to the State Committee on Work with Diaspora, the document says: “Shusha, being held under the Armenian occupation, has a particular place in the history of Azerbaijan. 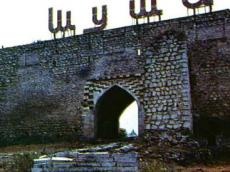 Shusha was founded by Panahali Khan, the founder of Karabakh Khanate. The document signed by the president of the Congress of European Azerbaijanis Samira Patzer-Ismailova reads: “The Congress of European Azerbaijanis calls on international organizations to demand Armenia to withdraw its forces from the occupied lands of Azerbaijan. The congress also calls on all European Azerbaijanis to inform the public communities, governmental and non-governmental organizations of the countries, where they live, about the crimes perpetrated by the Armenians against the people, history and culture of Azerbaijan”.